Hey Canada, Happy Birthday! You’re looking great for 150. Everyone teases you about your apologies, cold weather, and love for hockey, but we’re having Nunavut (see what we did there? ).We know this birthday is a big one, and we want to celebrate the best way we can! 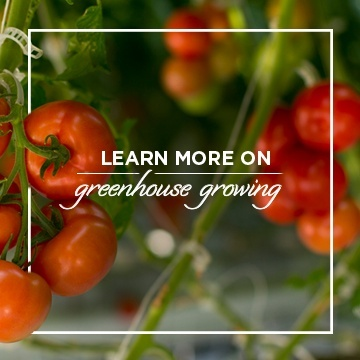 Because of you, we at SUNSET® are able to grow some of the best produce in North America. 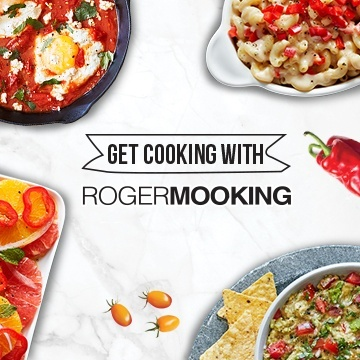 In true Canadian fashion, we have traveled the world to find new flavors, innovations, and bring them back to our great country to make them the best they can be. Canadians are adventurous food explorers. From poutine to maple syrup, beaver tails to Caesars, it’s clear Canadians won’t stop at anything for a perfectly unique meal! 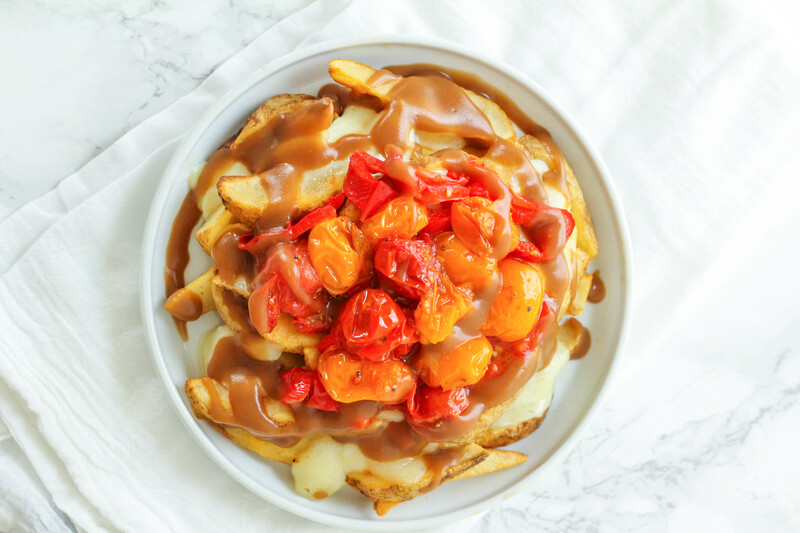 So, what better way to showcase Canada than to create a new take on the classic poutine? Originating from the province of Quebec, this dish combines fresh, thick cut french fries, decadent cheese curds, and savory beef gravy. Although simple in its anatomy, the poutine welcomes many different toppings, and styles. 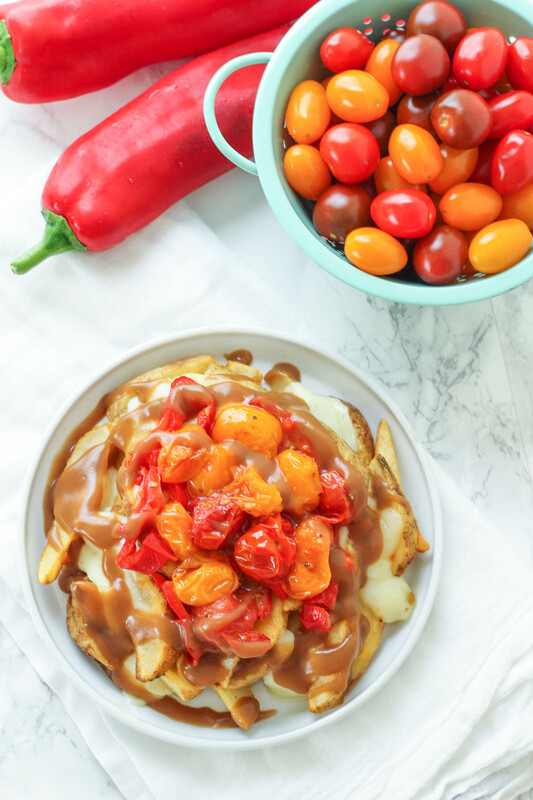 Naturally, we added our Wild Wonders® tomatoes and Sweet Twister™ peppers to create this Burst Tomato & Roasted Red Pepper Loaded Poutine. 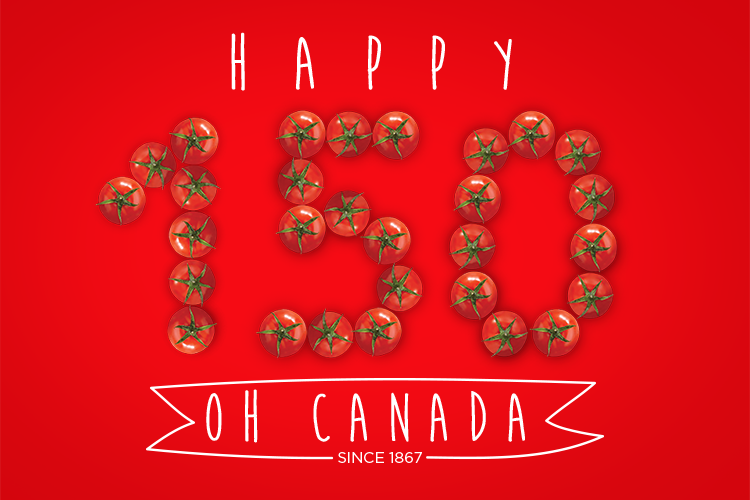 Courtesy of Zen & Spice, this colorful dish is sure to surprise and delight anyone, Canuck or not, looking to celebrate Canada’s 150th the right way. Slice the tops off of the peppers and scoop out any seeds. Place on a baking sheet and roast for 12 minutes, until soft. Slice into rings. When the peppers are finished, bake the potato wedges according to package instructions. Make the brown gravy according to package instructions, set aside and keep warm. In a skillet over medium-high heat, add olive oil, cherry tomatoes, minced garlic, salt, sugar, and black pepper. Cook, stirring occasionally, until tomatoes burst and release their juices to form a sauce, about 5 minutes. To plate, add the potato wedges to the bottom of an oven-safe dish. Top with the cheese curds. Pop into the oven for an additional 5 minutes, until the cheese is melted. Remove from oven, drizzle with brown gravy. Top with roasted red pepper rings and burst cherry tomatoes. Serve immediately and enjoy!